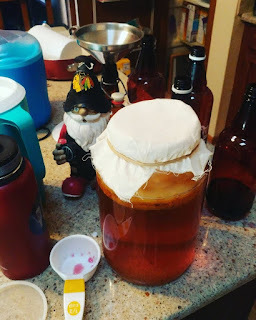 So ... do you remember that I've gotten into brewing homemade Kombucha? I like kombucha enough to drink. I like it a lot more than soda, and it is a good alternative to water or coffee for me to drink at work with my lunch. However, it is way too expensive for me to want to actually buy it. 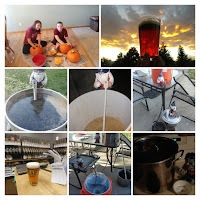 It is easy and inexpensive to brew at home, so I just make it myself. Dissolve 1 cup of sugar in enough water to brew 8 to 10 tea bags worth of concentrated sweet tea. Pour the tea into a gallon glass jar with a little ice to cool it down. Fill the jar the rest of the way with water. 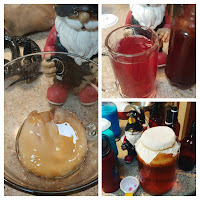 Add a SCOBY and a little kombucha from the last batch to the jar. Let the tea ferment for a couple of weeks. Pour the fermented kombuca along with some fruit juice or other flavoring into bottles. Let those bottles carbonate for a few days. 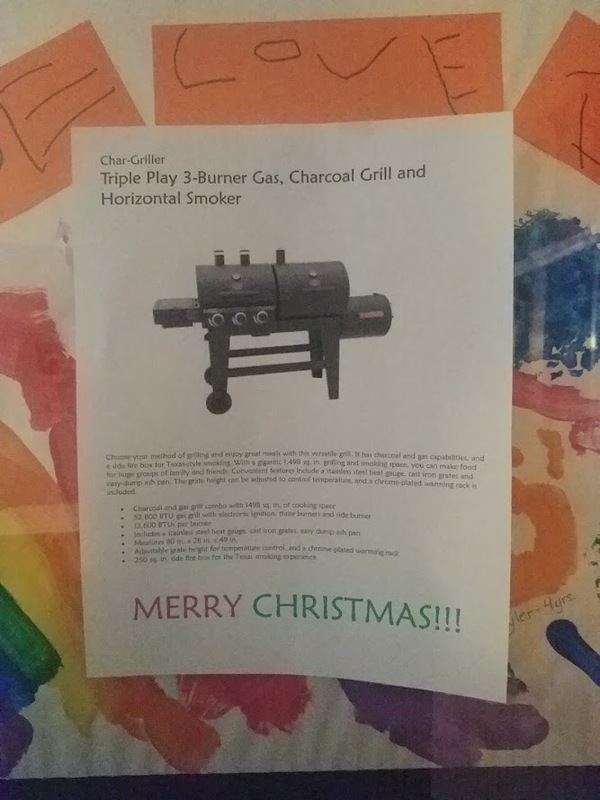 I got a picture of a grill / smoker for Christmas. 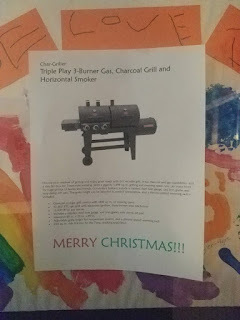 My wife did everything she could to get me an actual grill / smoker, but due to a delivery SNAFU, the picture was all I received. 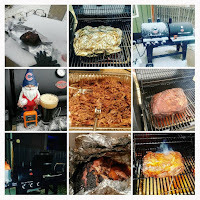 While waiting for the delivery SNAFU to get fixed, I spent a significant amount of time reading books and websites about smoking various meats. I also watched lots of youtube videos on the same. 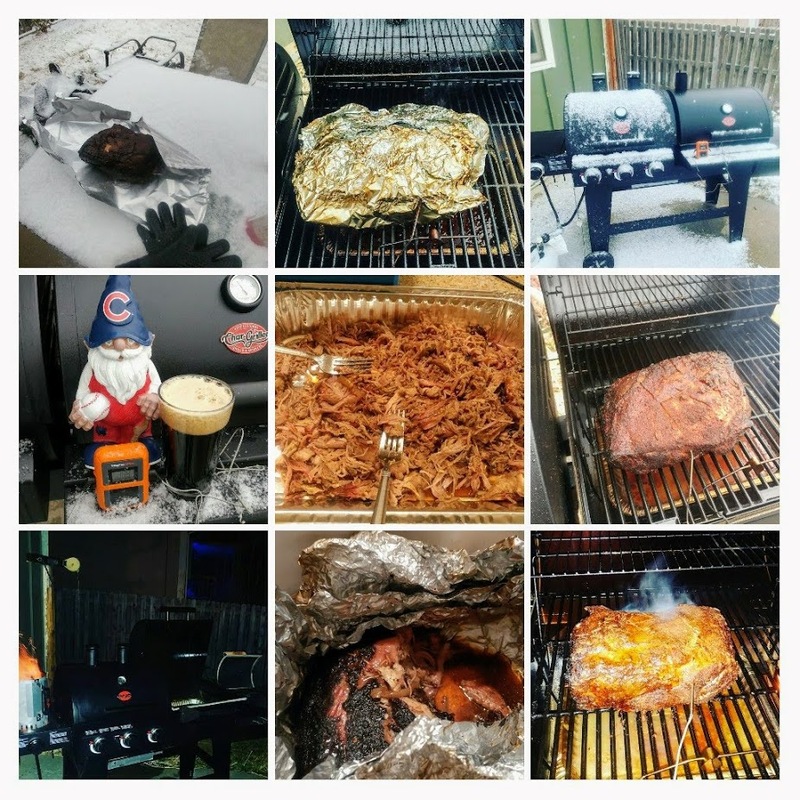 I think my favorite videos came from BBQ Pit Boys. Those guys amuse me, and I think they do a good job clearly explaining the process of smoking meats. Anyway ... last week, I finally got the grill delivered. Separately, I got the smoker box delivered. 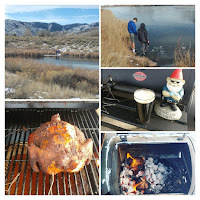 Saturday morning, I attached the smoker box to the grill. 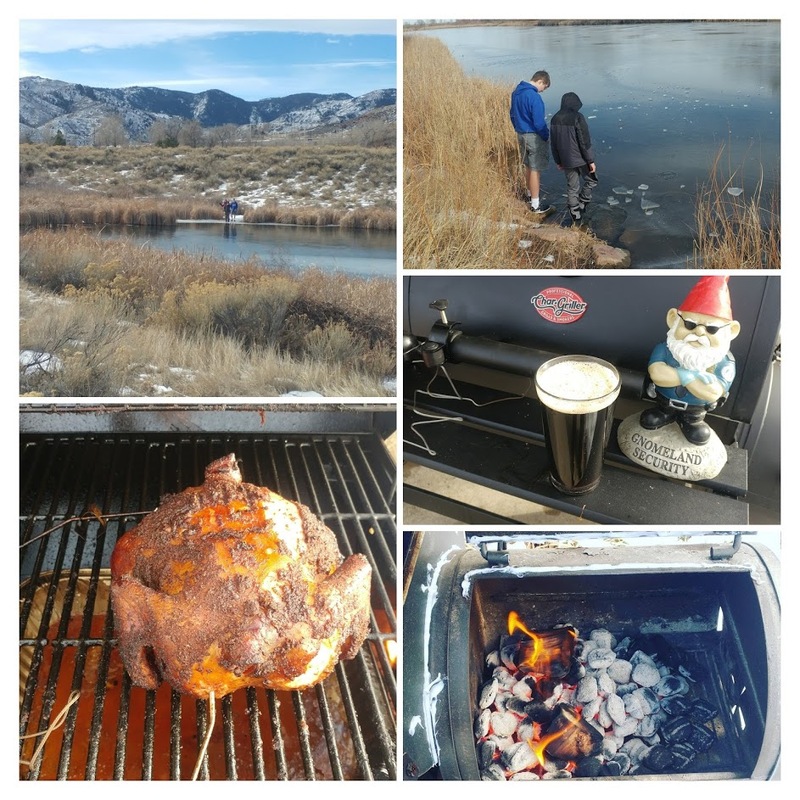 Sunday, I smoked my first meat ... a rack of pork spare ribs. It is winter. 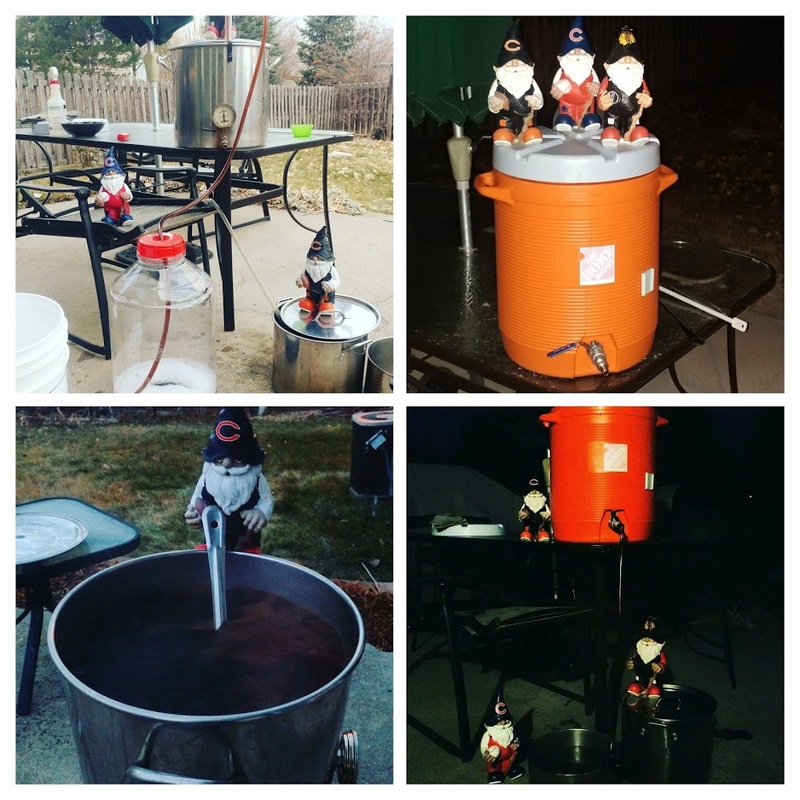 Time to brew a Winter Saison. 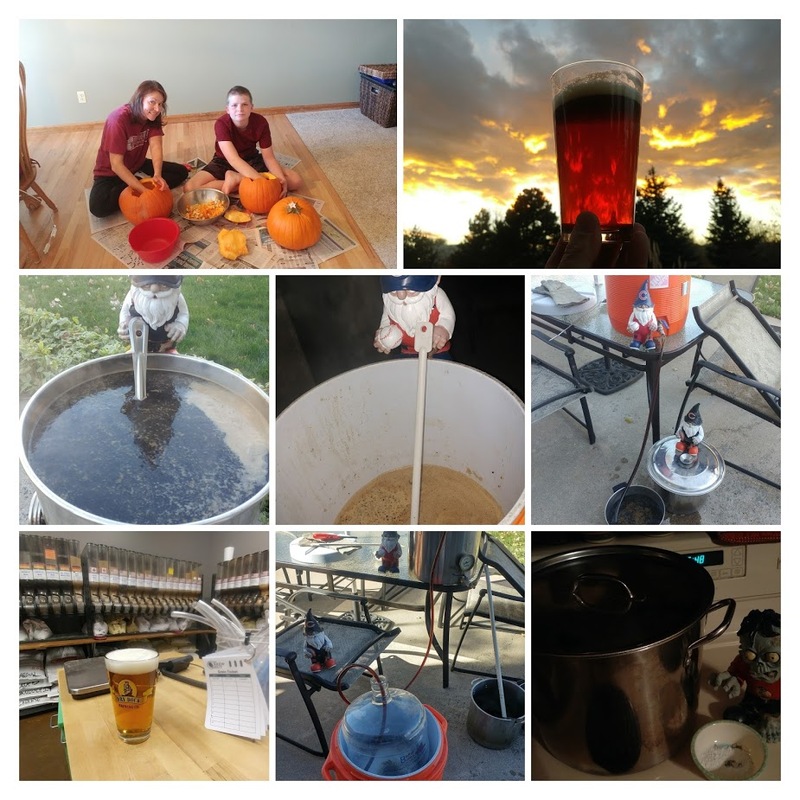 Yes, here at SheppyBrew Brewery, we brew at least 4 saisons every year. The Arctic Vortex Winter Saison happens to be a black saison, because winter is generally dark ... and it would be boring to make all my saisons look the same. 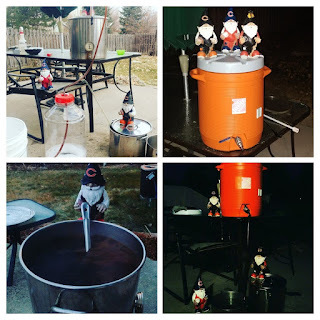 This weekend, I brewed this year's Arctic Vortex Winter Saison. When I went to buy ingredients last week, my Local Homebrew Shop didn't have my favorite Saison yeast (WY3711 French Saison). I ended up picking up WY3724 (Belgium Saison) instead. I'm a real fan of WY3711, and I almost decided to wait to brew this beer until they could get more in, but I had already crushed my grains. It doesn't hurt to try new things. I guess we'll see how it turns out.